We’ve seen Windows 95 running the on the Motorola Droid, but how about putting the golden child of 90s computing onto something a bit more powerful? 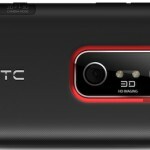 Something like the HTC EVO 3D. Thanks to an APK made available by mnomaanw of XDA Forums, we now can. But it doesn’t stop there. Also bootable with minimal hassle are Windows 98 and XP as well as Linux. The specific method does require a bit of technical know-how, but full instructions are available on at the originating thread. You can get all the files you need there, as well. Booting into an alternative operating system will lose you a bit of phone functionality (and makes less sense in an age where smartphones can accomplish most of the same tasks). So which classic OS is it for you?